When we saw this we couldn’t pass up on this opportunity to share our absolute love of Back to the Future geekyness and with it being the 25th anniversary of the franchise this year this seems all but too perfect. Anyone else see the similarities? 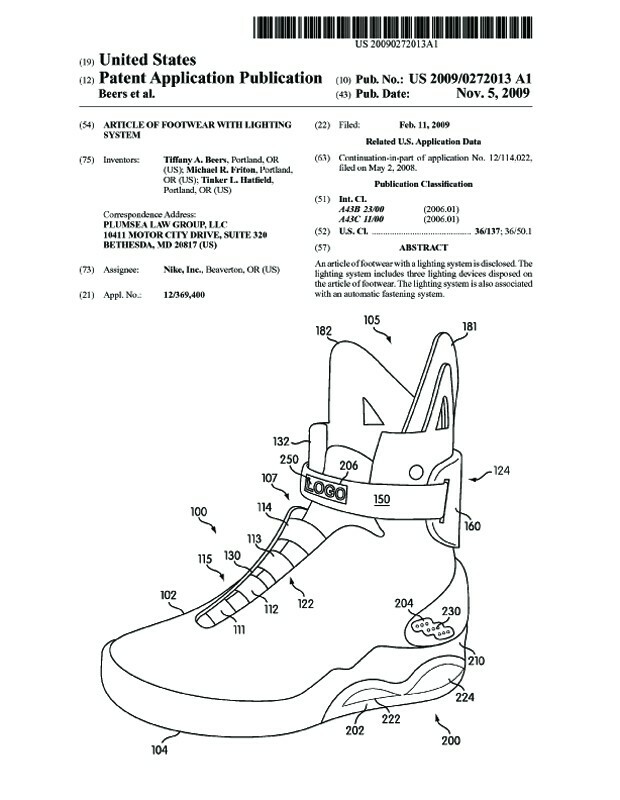 Nike apparently filed some patents in early to late 2009 showing off shoes with an automatic lacing system that looks almost identical to the shoes worn by Marty Mcfly himself in Back to the Future 2 from the year 2015 (heck the shoes in the movie were even Nike and 2015’s not that far off!!). 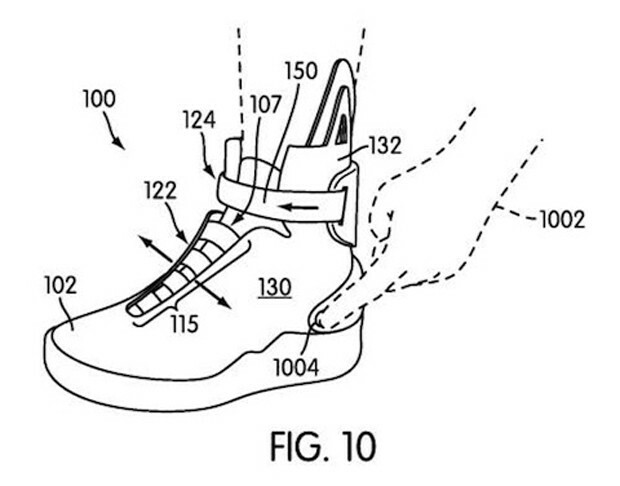 Now patents don’t always mean that a product will really come out of them, but this is one that we’re REALLY hoping does as these shoes even have a charging system and lights in addition to the auto lace. Now we just need Delorean Motor Company to announce a comeback with a patented new flying Delorean and we’d be all set!! 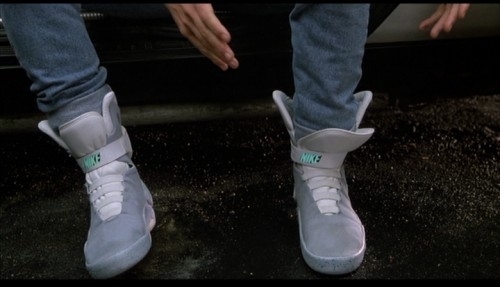 Check out the video below to see the shoes in action in Back to the Future 2!